Sylvia Lagerquist was recognized as a winner for the 2016 SmartCEO Centers of Influence awards, recognizing the leading accountants, attorneys and bankers in the Washington, D.C. region. SmartCEO Magazine listed Sylvia Lagerquist as one of the Top CPAs in the Washington DC Region in 2010, 2011 and 2012, and she was selected as a finalist for the SmartCEO Power Players Awards in 2013, as well as the CPA & ESQ Awards in 2014 and 2015. Sylvia Lagerquist, CPA was featured in the 9th edition of Profiles in Success, the guide to Washington DC regional business leaders, in 2014. Haines & Lagerquist CPAs was selected as one of the “Top 500 Emerging Businesses in the U.S.” and as one of the “Top 100 Diversity Owned Businesses in Maryland” for 2013 by Diversity Business. Haines & Lagerquist CPAs was named the Corporate INTL Global Awards Winner for Full Service Accountancy Firm of the Year in Maryland in 2012. Sylvia Lagerquist, CPA was featured on the cover of CPAConnections (Spring 2012 edition). CPAConnections is published by CPAConnect, a national association of CPA firms. 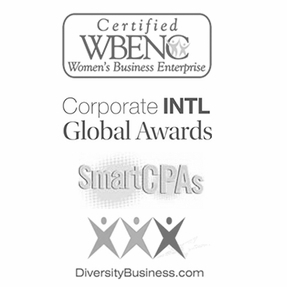 Haines & Lagerquist CPAs was granted the WBENC Certificate by the Women’s Business Enterprise National Council in 2013. Haines & Lagerquist CPAs was granted Supplier Development and Diversity Division Certification as a business headquartered in Prince George’s County from 2013 through 2016. Let our CPAs help your business.